My friends started a business from scratch a couple of years ago and it’s grown exceptionally well. 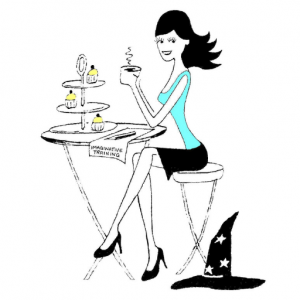 You have heard me raving about their products – delicious, luxurious, decadent chocolates! I know a lot about chocolate, as you may have gathered – and I can tell you with full conviction, these are amazing. 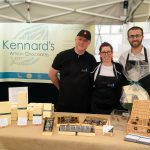 Kennard’s Artisan Chocolates have won four industry awards in the past year alone: two for their triple Espresso Capsule, one for the Peanut Butter Truffle and another for their Spiced Fruit Cup. They have a range of Vegan and Kosher products, dairy-free, gluten-free, guilt-free… You’re really missing out if you haven’t tried try them. And you can – and with a discount! Because now my lovely friends are giving you the opportunity to become a stakeholder in their business. They’re offering three ways for people to invest. I have donated an amount via their crowdfunding page which means I’ll be delivered copious amounts of chocolate brought to me by my smiling postman. (Postwoman actually). You can also invest in the business to become a shareholder – for savvy people seeking a fast-growing enterprise in which to capitalise, this is wonderful opportunity. There’s a charity-focused option too, so take a peek at the full offering and enjoy yourself while your finances grow along with your waistline. I’ve kept up my swimming; that helps to balance the chocolate cravings. My physio agrees it’s good for my balance, and my swimming teacher, David, waivers between telling me I’m doing great (very nice for my self-esteem) and I’m rubbish (makes me laugh, so good for my overall well-being). Another reason to laugh this week was a trip to Arch 1’s comedy club to see my friend David from art class – a different David – performing his stand-up comedy routine. It was such a funny night. He’s recently jumped on board the stand-up circuit so I expect to be seeing a lot more of him. I’ve seen a lot of him previously, in art class, this is a different seeing him. 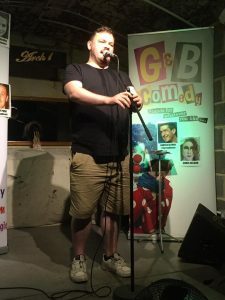 He’s really good, so if you fancy a fun night out in London you should join me sometime. I did do a bit of work this week too… It’s not all wine, canapés and chocolate you know. I went to a Business Junction networking lunch. It was all wine and canapés (see – no chocolate!) and meeting new people of course. As well as the usual collection of accountants, IT consultants and designers, there was a very interesting guy who provides business advice based on the law of attraction. He called me afterwards and we may be working together in a few weeks once his business is ready for full marketing. I love all that. Mark first recommended Esther and Jerry Hicks’ book in 2012 and it’s been sitting on my desk, dipped into and chocolate dripped on it for five years. We can change our worlds. And as we’re pretty much the only ones who can, we’d better get on with it. If you’re desperate about moving your business forward in line, give me a call. If you can’t find time for social media I can handle it for you – and if you generally want more time I can help you with that too. Check out my time management training and you’ll soon be smiling again. And if you know any good jokes that could give David a run for his money, tell me here: @WeekendWitch.